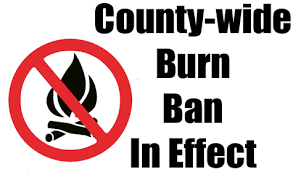 The Levy County Board of County Commissioners has enacted Emergency Declaration 2017-018 and Emergency Order 2017-019 establishing a burn ban throughout the unincorporated areas of Levy County. This is an executive emergency order due to the extreme dry conditions that affect our county. Levy County has suffered massive losses in the past from unintentional fires caused by unattended or irresponsibly set fires. DO NOT burn yard debris, trash or other unwanted items around your homes during this time. Due to these current conditions, fires will rapidly spread out of control and could endanger lives. This Emergency Order establishes this violation is a second degree misdemeanor pursuant to Section 252.50, Florida Statutes. Anyone having questions are asked to contact the Division of Forestry at 352-493-6060. Citizens are reminded this coming weekend, April 29, 2017, is East Williston’s annual Crab Fest. Citizens and motorist are reminded traffic patterns will be altered on CR 318 during the event. 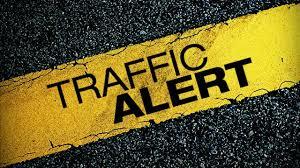 Motorists should expect heavy traffic in and around CR 318 and US Hwy Alt 27 beginning at approximately 2 pm until the event ends. Motorists not planning on attending this event should avoid the area if possible. There will be a heavy presence of law enforcement in the area and motorists are urged to use caution and follow all traffic laws. Travel safe. He Fought the LAW and the LAW Won!! A Levy County Deputy found himself in a fight for his safety late Monday evening. A female called the LCSO Communication Division and requested help from a deputy to remove a male acquaintance from her property. 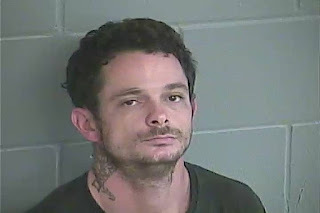 When the deputy arrived, he spoke to the complainant who told him the male identified as Thomas William Ruble (7-26-86) from Indiana had overstayed his welcome. The deputy attempted to speak to Ruble and was met with threats of violence directed toward both the female and him. During this encounter Ruble spat in the complainant’s face then ran into the home. Our deputy gave chase and apprehended Ruble in the kitchen area of the home. Ruble initially complied with commands to surrender, but immediately resisted when the deputy attempted to cuff him. Ruble initially placed his hands in his pockets and refused commands to “show his hands.” When our deputy took control of Ruble’s arm/hand Ruble lunged for kitchen knives within arm’s reach in an opened dishwasher. Our deputy was able to control Ruble and take him to the ground but the fight continued. The deputy was battle bruised, his uniform ripped, brass stripped from his vest and Taser ripped from its holster but he persevered. Deputy Ryan Park, a newcomer to the LCSO family, was able to restrain Ruble on the living-room floor until backup arrived some 10 minutes later. Deputy Park was unable to call for emergency assistance because any attempt to reach for his radio would have allowed Ruble to escape his grip and continue the fight. Corporal Tom Martin arrived and immediately rushed to Deputy Park’s assistance. But, Ruble still was not willing to give up. He continued to fight with both deputies until he was ultimately overpowered and cuffed. But, still he fought. Ruble was eventually at the receiving end of Corporal Martin’s Taser when he refused to get into the deputy’s patrol car to be transferred to the Detention Facility. Still he fought. Shortly after being escorted into our jail, Ruble fought with Detention Staff and was Tasered again. Because of the violent nature of Ruble’s behavior inside the facility, he was not seen at first appearance the following morning. Therefore, no bond was assigned. 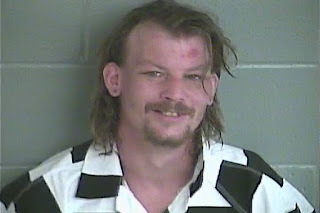 Ruble has been charged with battery for spitting in the complainant’s face, two counts of battery on a law enforcement officer, depriving an officer a means of protection or communication and resisting arrest with violence. Ruble was first appeared this morning, April 19, 2017, and his bond was set at $675,000.00. Investigators located items believed to be drug paraphernalia when conducting a follow up investigation. Investigators tested these items and they tested positive for PCP. This could explain Ruble’s sustained superhuman strength during the fight. Deputies never know what they will encounter during a tour of duty and this is a perfect example of why maintaining excellent physical fitness saved Deputy Park from injury. 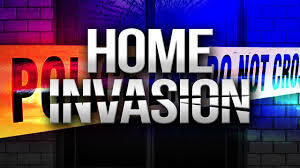 The search for the home invasion suspects involved in the shooting in Rosewood continues. Investigators and Deputies with the Levy County Sheriff’s Office aided by the Marion County Sheriff’s Office Aviation Unit have conducted an intensive search of the wooded area in the unincorporated area of Levy County known as Rocky Hammock. Investigators report they have credible information the suspects are NO LONGER in this area and have fled. Investigators are currently following up on leads. This investigation continues and updates will be released when they become available. Sheriff McCallum thanks all of our citizens for their patience as we continue to work this case to a resolution. On April 6, 2017 LCSO deputies working with United States Marshal’s deputies conducted a warrants sweep in the Inglis area of Levy County. 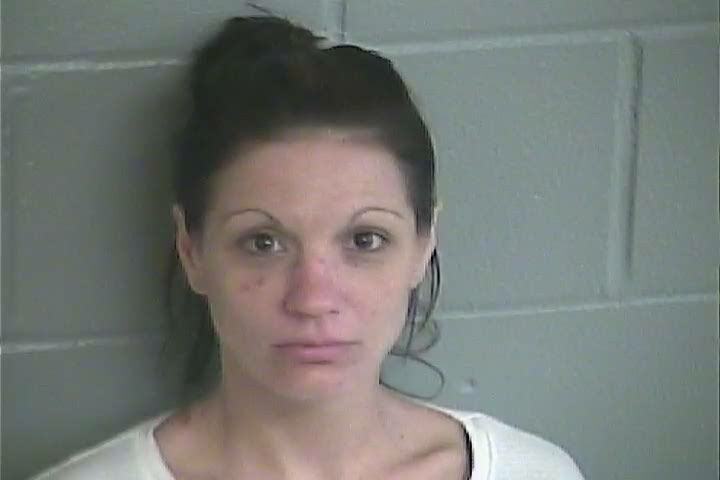 Three subjects were arrested for outstanding warrants and taken to jail. The operation began the day before as deputies gathered information on one particular wanted subject. Jason Eric Adams (10-25-94) was wanted for three outstanding warrants and was a current suspect in an ongoing robbery investigation. Deputies went to a home on Linda Street that Adams was known to frequent. Deputies did not find Adams there, but did find a stash of guns, drugs and used syringes. These items were seized, and the investigation based on this discovery is still on-going. Adams was located a short time later at a home on Debra Street. He was hanging out with a female associate, Kristi Rose Hudak (4-21-85) who was also wanted for an outstanding Citrus County Violation of Probation warrant. Both Adams and Hudak were arrested and transported to the Levy county Detention Facility. 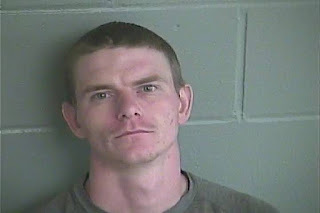 Later this same morning, deputies located and arrested Michael Samples (3-15-88). Samples gave deputies a false name and when his true identity was discovered, they found that he was wanted in Citrus County for a Failure to Appear warrant. Samples was additionally charged with providing false information to law enforcement and transported to the Levy County Detention Facility. Any citizen who has information about criminal activity in their community is urged to call our office and report your suspicions. Our communications officers are always on duty and can be reached at 352-486-5111. Anyone who wishes to report crime and remain anonymous can call Crime Stoppers at 1-877-349-8477.